We’ll look at the epidemic of drug addiction among young people and see how Gateway Rehabilitation Center is working to reverse the numbers. Also, we find out just how important early detection is when it comes to lung cancer and see what it takes to get in shape with the fitness craze Crossfit. 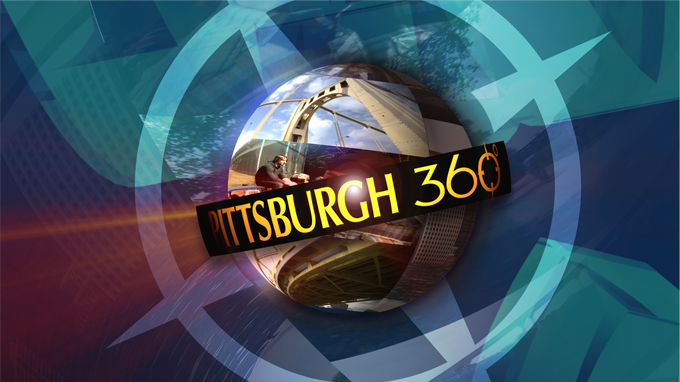 Pittsburgh 360: Youth Addiction, Screen Saver & Fitness Mission aired on Jan 08, 2015. In this episode, contributor Dave Crawley highlights an art auction that benefits the Persad Center. Viewers will alsomeet Naithen McMillen, a deaf goalie who doesn't let anything get in his way, including the puck. Finally, tag along as DaveCrawly travels to Ridgway, the home of a noisy but popular chainsaw festival. Pittsburgh 360 has partnered with Highmark to bring viewers a special report about healthy initiatives at Gateway Middle School.Also featured in this episode is a special class at the CLO Academy for students with Autism and a new Carnegie Museum of Art program that allows patients with Alzheimers and other forms of dementia to enjoy the beauty and expression of art. In this episode, Pittsburgh 360 takes a look at the Shelton Trade Center, a school that is teaching the masonry trade and building skills for both the workforce and life. Also, contributor Dave Crawley visits the Western Pennsylvania Cat Fanciers show in Canonsburg and viewers will see their favorite stories featured in a look back at some of the best stories featured on Pittsburgh 360. In this episode, contributor Dave Crawley introduces viewers to a local veternarian, Dr. Mike Hutchinson, who treats ailing pets withtheir own stem cells. Also, Tonia Caruso reports on a new initiative called the Power of 32, which is designed to get the region's four states and 32 counties working together for economic growth. Also, Chris Fennimore profiles two local chefs, husband and wife, who work together in the same restaurant. In this episode of Pittsburgh 360, Tonia Caruso takes viewers on a tour of one of the city's newest developments, Bakery Square in the East End. ThenMichael Bartley showsviewser what it's like to work in the Pittsburgh offices of Google.Also,see how three local coffee shops are creating a sense of community on Pittsburgh's North Side. In this episode, Tonia Caruso visitsThe Captain Thomas Espy Post in Carnegie, which was a meeting place for Civil War union soldiers.This time capsule and American treasure tucked away on the top floor of the Carnegie Library and Music Hall has been painstakingly restored and now re-opened. Also, Michael Bartley has the story of a local Eagle Scout whose community service project involved the saving, cleaning, and donating of all of the hats tossed on the ice when there is a hat trick at Pittsburgh Penguins hockey games.